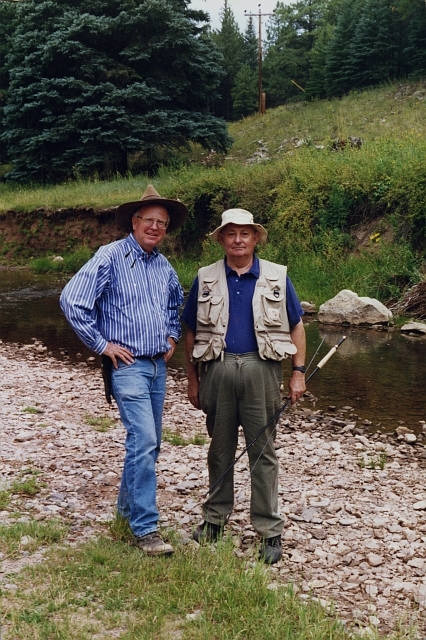 From verso of photograph: "Left to Right: Hal Simmons long time friend, Tony Hillerman, Rio de las Vacas, Santa Fe National Forest, East of Cuba, New Mexico. Sept. 6, 1995 Photo: William J. Buchanan."